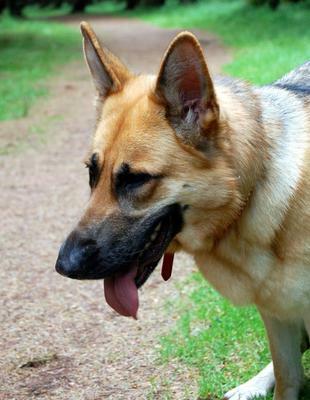 My German Shepherd is called Lacey... she is a 2 year old female who loves going long walks up the local woods, she is very friendly with other dogs and even our cat. She is such a loyal and loving member of the family and she is a joy to have. She also likes her creature comforts but she is most in her element when she is off lead strolling along with me on her favourite walk. Thanks so much for sharing your beautiful Lacey with us. She looks so much like my German Shepherd from many years ago. It's striking they look so much alike. 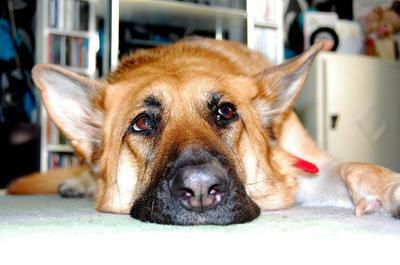 Lacey is a gorgeous female German Shepherd Dog and I really like all the pictures you've sent but I must admit the one with her head on the floor but with her eyes on you is certainly my favorite! 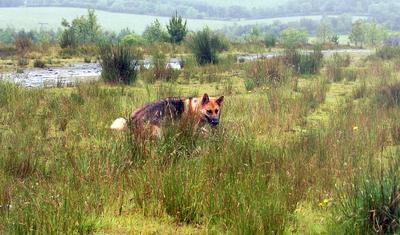 Just like a GSD, to watch their mster no matter where they're at. Continued success with her and I wish you many more years of companionship with Lacey. Keep us advised on how she develops in the future! Look at that Precious face, what a Beautiful Girl Lacey is (the picture with her head on the floor)! She looks very content, happy and healthy. German Shepherd are amazing, I have my Mia she is such a joy to have too! 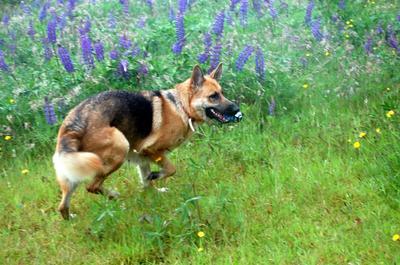 You can read our story german shepherd puppy mia story and mia my beautiful german shepherd dog. Take care of you girl Lacey and she will take care of you!